I know Asia is an incredibly diverse region, so there are a lot of different things going on. But, as president of the Asia Society, one of the leading non-profits promoting understanding of Asia in the US, if there was one issue you wished people paid more attention to – either in a specific country or across the continent – what would it be? When people think about women in Asia, they tend to think about all the ways in which women are treated poorly, especially women at the bottom of the pyramid. These are issues like dowry debts, literacy and education, rural women and micro-banking/lending. All these are very important issues. But one of the things that I find missing in this discussion is women in leadership positions. We need to better understand women who are leaders, and if there is a lack of women leaders, why that is. I’m as interested in the women at the top of the pyramid as those at the bottom. So, for example, one of the initiatives we’ve developed is Women Leaders of New Asia. As the centre of gravity shifts towards Asia, are enough women at the table in that powerful new equation? And if they are at the table, how are they going to change the equation? How are they going to ask questions that might be different from those of their male counterparts? 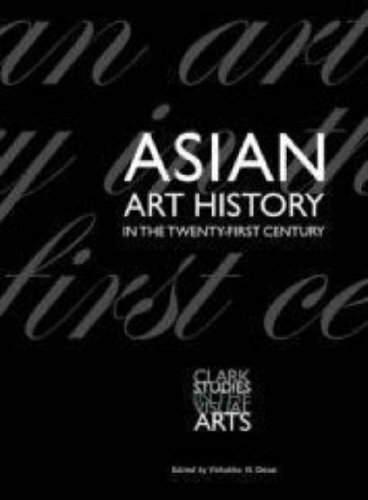 There’s also the question of how Asian women get written about and are perceived by others. That’s a broader question for Asia, while still recognising its huge differences and cultural diversity. 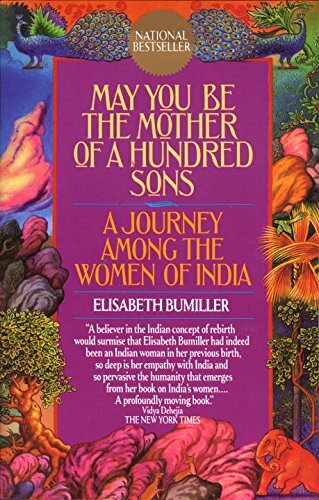 So the first book you’ve chosen is Elisabeth Bumiller’s May You Be the Mother of a Hundred Sons: A Journey Among the Women of India. What I find so compelling about it is the way Elisabeth Bumiller creates these personal stories. It’s about women and how they get caught up in being seen as mothers, and especially mothers of sons. This made a big impression on me when I first read it, and I still feel that it’s a very important issue. Even when you’re looking at corporate India today, there’s a huge number of educated women who are going into the workforce. They have high ambitions, but once you have a child, if you want to pursue a serious career – especially if it’s a professional career and not just taking care of a family business – the social stigma is still huge. Even at the top level. That’s why I like this book. And she writes beautifully, of course – all of these books are by people who write really well. I looked at some of the reviews. Doesn’t the book also cover the horrors we think of Indian women going through – the bride-burning, female infanticide, etcetera? Yes, but what’s interesting is that Elisabeth was one of the first people to bring out that there are also very powerful women in India. One of the things we always say about India is that for everything we say, the opposite is also true. I think that’s what sometimes creates confusion for people. It’s something I’ve often said, but Elisabeth actually shows it through stories. She shows that India is a place where you have the archetype of a female goddess like Durga, who is extremely powerful. She has multiple weapons and multiple arms and destroys demons that men couldn’t handle. That kind of iconic archetype really does allow for also seeing women in powerful positions. The book was published in 1991 and is based on the author’s experiences in India in the 1980s but you feel it’s still relevant? Yes, because of the personal stories. They give you a sense of the diversity and help to break certain stereotypes. They also allow you to say, “OK, there are certain things that don’t seem to go away”. Let’s go on to your next book, about Indira Gandhi, who was the daughter of India’s first prime minister Jawaharlal Nehru, and would go on to become the world’s longest serving female prime minister. Dear to Behold is a book I read long ago, but I still think about it. It’s a small book. 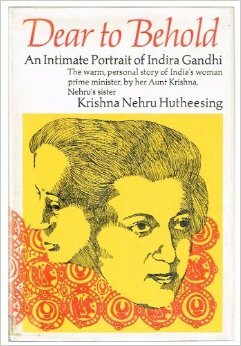 It was written by Indira’s aunt, Krishna Hutheesing [Nehru’s sister]. What’s interesting to me is that it really gets at the psychology of Indira Gandhi. For example, when she’s young – the loneliness, the shyness, how that then plays out. The book was written before the [state of] emergency she declared in the mid-1970s. It really creates, from the inside out, a portrait of a woman who then became a very powerful leader. It gives you a nuanced understanding of who Indira Gandhi was and what made her do the things she did. I found that appealing. I read it in the mid-1970s, when I was myself a youngster. It was at the height of the emergency and I was already in the US. But it made an impression on me and I’ve gone back and reread it several times, to think about leadership models. I’ve always found the issue of women’s leadership in South Asia intriguing. I didn’t even know, prior to this interview, that the world’s first female prime minister was Sri Lankan. But I did know that Bangladesh, Pakistan and India have all had female prime ministers, a milestone that the US, or even Sweden and the Netherlands, have yet to reach. At the same time, when it comes to equality rankings – for example, the World Economic Forum’s annual Global Gender Gap Report – India and Pakistan score close to the bottom. How is that possible? One of the things that people don’t understand, and is one of the reasons to think about these books, is that yes, it’s true, Indira Gandhi could not have been a leader had she not been a daughter of a leader. The familial connection is very important. But at the same time, the difference is that in India, or even in Pakistan or South Asia in general, your class and your standing in society can, sometimes, trump your gender. So that once you are seen as a leader, and you have that position and you come from the upper class, nobody will question your leadership. I wrote a piece about this when Hillary Clinton cried in New Hampshire. Everybody [here in the US] was saying, “Oh now finally she’s being female”. That kind of question – is she being a woman or isn’t she? – just wouldn’t arise in India. You’ve got a position and that’s it. The other thing that people don’t realise is that especially in India, but also in Pakistan, women are already in their third generation [of women’s liberation]. So many women were involved in the independence movement with [Mahatma] Gandhi, especially women from the upper class, or educated families. They were already at the forefront of changing mores in the 1930s. So that’s my mother’s generation – she is 96 now. Whereas in America, you have the suffrage movement, but then the really big changes came in the 1960s. In India, I grew up in a family where my mother was a big freedom fighter. She helped found one of the first women’s institutions in India. She talked about being really independent, and what it means to be married but not necessarily encumbered by your husband, and things like that. Most Westerners have no clue about this. And that’s why that particular book is an interesting one. It takes it as a given that Indira Gandhi could be a leader. That was not the issue. The issue is what kind of a leader, based on her psychology and her upbringing. 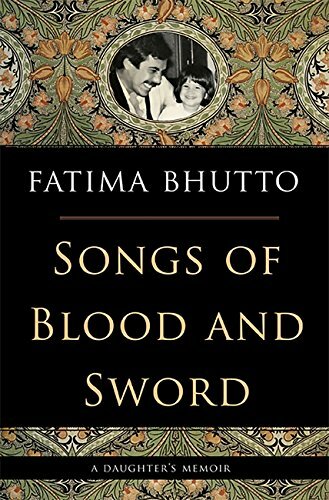 Your next choice is Fatima Bhutto’s Songs of Blood and Sword, about a Pakistani ruling family. This, again, is a book written from the inside about a family, in this case the Bhutto family. Fatima is Benazir Bhutto’s niece. Both her father and her uncle were killed. What I like about the book is that, again, it’s very well written. It is unflinching in terms of exploring the family dynamic. At the same time, it really gives you an insider’s perspective on, in this case, a very feudal family – how the family really rule the country. Fatima is very young. She’s a very courageous woman, to write this book. On the issue of women specifically, what is the main thing you come away with from this book? In both these books – Dear to Behold and Songs of Blood and Sword – what you come away with is the complexity of the family dynamics and how women are placed within that. How they exert their authority and the psychosocial dynamic of how women function in that system come through very well. On the one hand, it’s clear the Bhutto family is a very privileged one, educated and westernised – including Fatima herself. She is a very privileged person, actually. On the other hand, it’s also extremely feudal. It describes that westernised, localised feudal family setting within which women leaders emerge. Is there a story that particularly jumped out at you? She describes this idea of the act of remembering and of making sure you don’t make the same mistakes again. She describes when they go to a party at a hotel for her father’s birthday. And in the guestbook, they see the signature of another VIP, and that VIP happens to be Zia al-Haq, the man who killed Fatima’s grandfather. And then later her father gets this phone call [which ends up leading to his own murder]. It gave me this chilling sensation. The other thing she describes is the aunt that she loved, Benazir, who also gets killed, the mixed emotions she has about that. Let’s talk about China now. You’ve chosen Jung Chang’s Wild Swans, about a grandmother, a mother and a daughter. 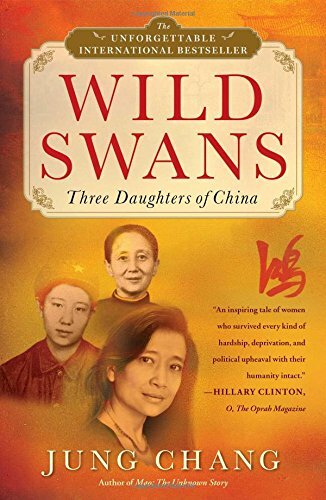 To me Wild Swans is one of those iconic books for understanding the generations of Chinese women. She is from this amazing intellectual family and it’s about what happens to them. The book just has this tremendous power. It’s an amazing journey. It’s about what women do to survive and also how they suffer. It’s been a while since I read it, but I was looking at it before speaking to you and I was reminded that the grandmother is a concubine with bound feet. So it’s also a reminder that for all its atrocities Maoism did a lot for the position of women in China. There’s no question. We did a show about the Cultural Revolution here at the Asia Society. One of the things you find out is that the Cultural Revolution gave a sense of equality to women that they never had before. That doesn’t mean it’s going to stick across the board, but at least it’s expected that women are going to be educated, it’s expected that women are going to work. That’s a really dramatic change that took place in less than 100 years – a huge change between pre-1949 China and post-1949 China. Yes, there are these extraordinary statistics that Sheryl WuDunn and Nicholas Kristof cite about China in their book, Half the Sky. Apparently, 80% of factory workers in Guangdong are female, and six out of the 10 of the richest self-made women in the world are Chinese. Exactly. They don’t always get credit for it, but that’s a different matter! The thing about Wild Swans is that it’s just so poignantly written. I’m partial to these kinds of personalised stories that also suggest a much bigger, grander narrative about women. You can see that in almost all of these books. 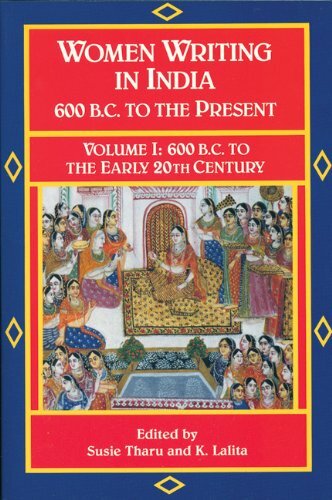 Lastly, you’ve chosen Women Writing in India, from 600BC to the present. The reason I consider this a really important book is that, first of all, until this anthology, we’ve never had anything like it. Secondly, there are just amazing pieces of writing – poetry, narratives, fiction – in it. It’s important just to recover that female voice that none of us ever studies in school. We were given a couple of names [of female writers], but that was about it. I think it’s a terrific piece of scholarship. It reminded me of that famous Linda Nochlin essay, “Why Have There Been No Great Women Artists?” It’s not that they’re not there; it’s just that no one talks about them. Do you want to name one of your favourites? One I like is a 10th century poet in South India. The poems give a very powerful sense of suffering. There’s a devotional idea of the God and a strong connection to Shiva. But it’s also a longing for a place that’s away from family, that’s away from responsibility. Within the Indian context, that’s just such a difficult place to carve out – for men as well, but especially for women. People often say the only way in India to survive, if you want to do something on your own, is to become a sadhu, or ascetic, which means you relinquish everything. Then you can do it, because you don’t have the responsibility. But to create that private space within a very socialised, public setting is really hard for women. I remember that poem very vividly. It’s amazing that a poem from the 10th century still has resonance for you, a woman living in the 21st century. Exactly, that’s what’s so interesting. Because some of those things haven’t changed.